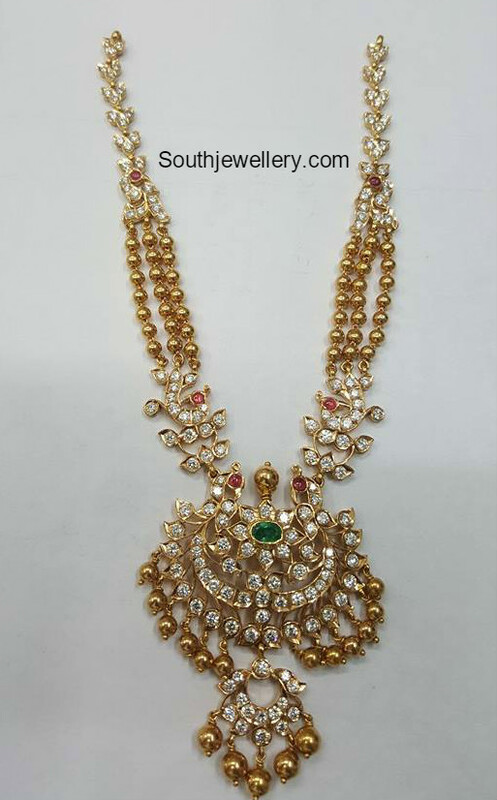 22 carat gold gold balls haram with peacock pacchi pendant studded with diamonds, rubies and emerald. 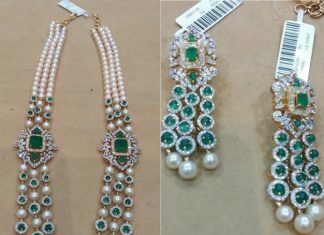 18 carat gold mala adorned with south sea pearls, diamonds and emeralds paired with matching earrings by Vajra Jewellery. 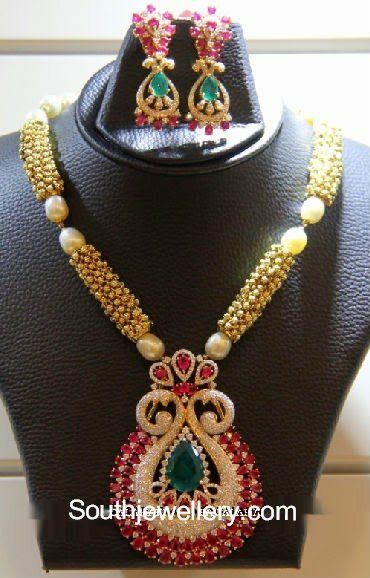 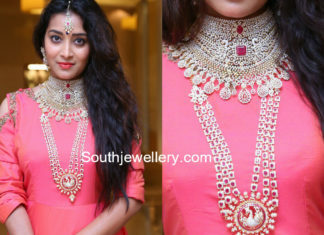 Heavy bridal diamond choker and diamond ruby long haram with peacock pendant by Manepally Jewellers. 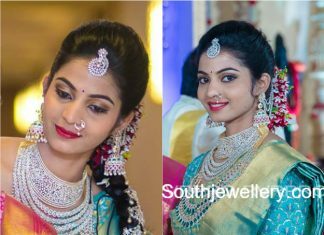 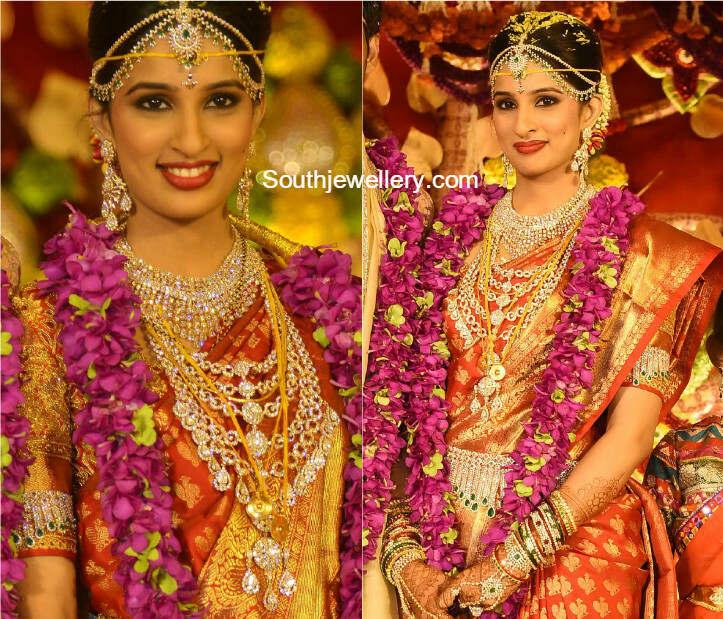 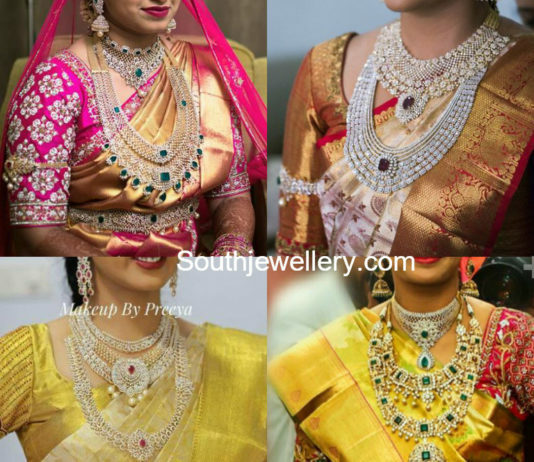 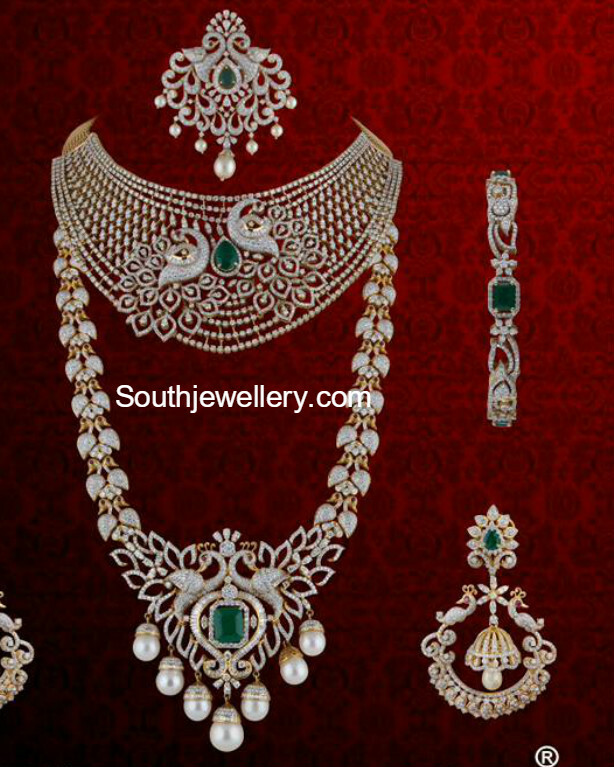 Diamond emerald choker, long haram, vaddanam, jhumkis and maang tikka by Manepally Jewellers. 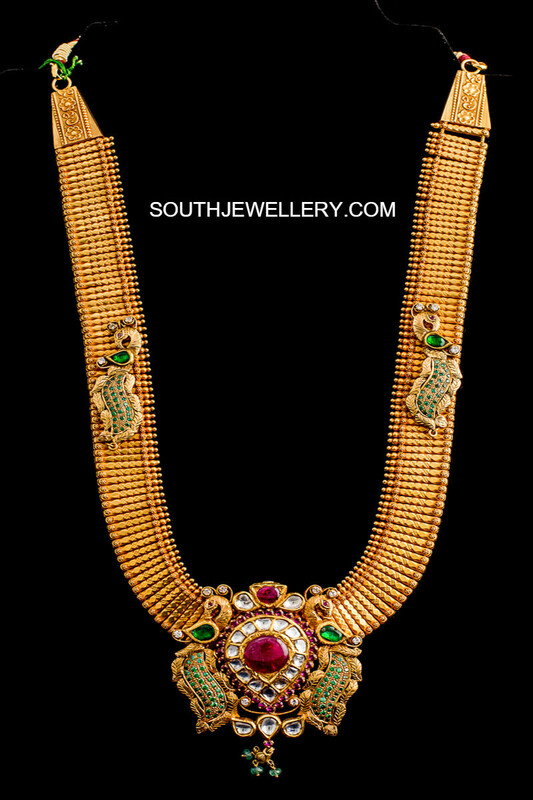 22 carat gold antique finish U-shaped haram featuring peacock pendant and peacock side motifs studded with rubies, emeralds and kundans.